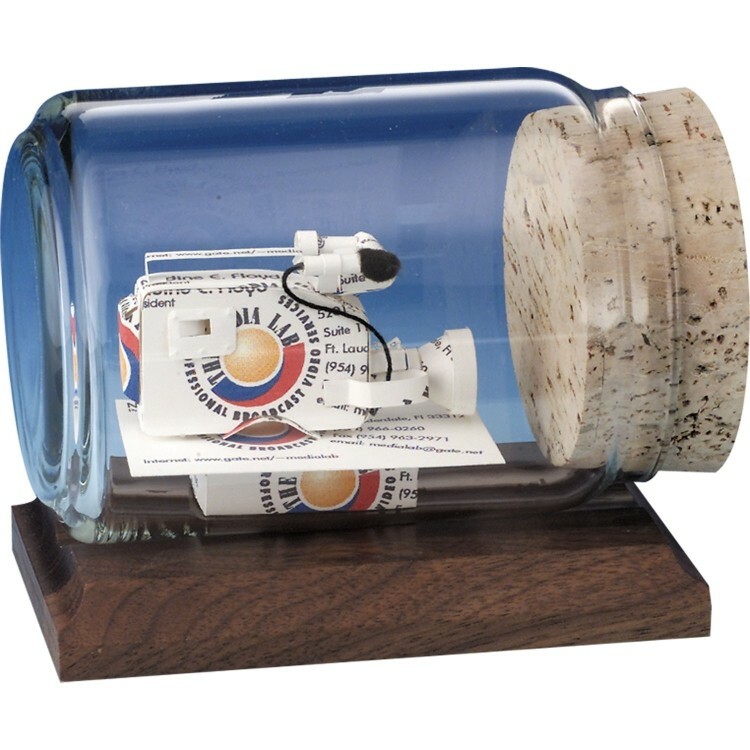 A hand crafted business card sculpture will be made from your business cards and then placed into a bottle on a beautiful Walnut or Black base. Each award is individually packed for shipment. For optional Acrylic box with Walnut base, select item ABW-BW4-422. For optional Acrylic box with Marble base, select item ABM-BW4-422. Bottle: 8-1/2" x 4-3/4" x 4-1/4"<br>Base: 6" x 3-1/2"<br>Clear Acrylic Box (Optional): 7" x 4" x 4"
1 piece = 3 lbs. Production Time: 7 to 10 working days. Contact factory for quantities over 25 pieces.